With its eco-friendly Indiana factory and hippie customers, Subaru fancies itself a protector of the environment. Nonetheless, it’s only offered one hybrid until now. The Subaru XV Crosstrek Hybrid has been on sale in the U.S. since 2014. Its solitude will shortly come to an end, however, as it is to be joined by a new Impreza Sport Hybrid later this year, albeit only in Japan. The XV Crosstrek is essentially an Impreza hatchback with more ground clearance, some body cladding, and fancier wheels, so it’s not surprising that both hybrid models appear to be identical mechanically. Like the XV Crosstrek Hybrid, Subaru says the Impreza Sport Hybrid uses a 2.0-liter boxer-four engine and continuously-variable transmission (CVT), along with an electric motor and battery pack mounted under the cargo area. Subaru didn’t disclose specifications for the Impreza Sport Hybrid, but given the similarities, it likely produces the same 160 horsepower and 163 pound-feet of torque as the XV Crosstrek Hybrid. In the U.S., that represents a significant boost over the standard Impreza’s 148 hp and 145 lb-ft of torque, but the XV Crosstrek’s EPA-rated 31 mpg combined (30 mpg city, 34 mpg highway) isn’t that spectacular for a hybrid. 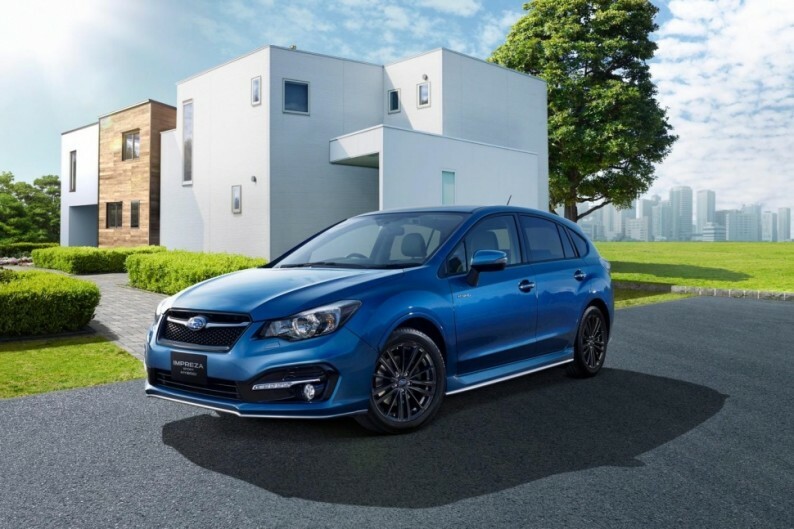 The Impreza Sport Hybrid does feature a special version of Subaru’s EyeSight system that’s meant to provide fuel economy, though. It uses EyeSight’s windshield-mounted camera and adaptive cruise control to optimize the use of electric power and regenerative braking for more efficient driving. Other hybrid-specific changes include added LED lighting, a rear spoiler and other aerodynamic aids, new wheels and tires, and blue interior accents. While Subaru offers a few models in its home market that U.S. fans would love to get their hands on, the Impreza Sport Hybrid probably won’t be much of a loss. We already have the similar XV Crosstrek Hybrid on this side of the Pacific, and neither model looks like a true fuel-economy champ. And Subaru probably has bigger hybrid plans as well. The company is expected to introduce at least one model with a more aggressive focus on fuel economy in the near future to help meet stricter emissions standards in the U.S. and other major markets. Tesla Prices Model X At $80,000: A Sweet Spot To Ramp Up Tesla Sales?